Home > Landlord Information > Questionnaire: Are You Ready to Be a Landlord? Becoming a landlord requires a lot more than just the deposit necessary to secure a mortgage, but many people forget this when they think of letting a property as a way to increase their personal wealth. Unfortunately, poor planning could lead prospective landlords into a loss of money, loss of personal time and even loss of desire to be a landlord in the first place. To help you determine if you are ready to become a landlord we have put together this questionnaire. Answer "yes" or "no" to each question, then total your answers and match the total to the results below. When you're done you'll have a much better idea if you are ready to be a landlord - or if you should wait on the idea for a little while. Can your savings cover mortgage payments when you have no tenants? Can your savings cover maintenance and repairs at your rental property? 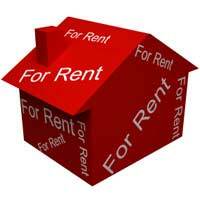 Are you certain that you can legally remodel your property into rental units? Does your property meet current health and safety requirements for letting? Are you prepared to receive emergency tenant phone calls at all times? Do you have a plan for selecting appropriate tenants? Do you understand the tax obligations of landlords? Can you remain polite and professional with your tenants but otherwise uninvolved in their lives? Do you have a plan for dealing with tenants who are late with, or can not pay, their rent? Do you have a plan for dealing with tenant concerns when you are on holiday? Do you understand your rights regarding evicting tenants (and not evicting them)? Will you live close enough to your rental property to be an effective landlord? Take a look at the number of 'yes' answers you made and total up your score. Take a look below to find out what your results tell you. If you answered "yes" to between one and four questions then you are most likely not ready to be a landlord. Landlords must be prepared to deal with many potential situations at all times, some of which may come to pass and some of which won't. But it is this preparation and understanding of the rights and responsibilities of landlords that differentiates those who are truly ready to be, and are, good landlord from those who are not. If you still have some interest in becoming a landlord, look at the questions to which you answered "no" and work on completing them and changing your answers to "yes". When you have nine or more "yes" answers then you may just be ready to be a landlord. If you answered "yes" to between five and eight questions then you may be ready to be a landlord. You are most likely aware of all that is required of a good landlord, but you may not have any concrete plans for how you can move from dreaming about letting a property to actually becoming a landlord. Make these plans. If possible, have an actual landlord look them over and advise you on what you may be forgetting or items that you may be skimming over. A local estate agent may also be able to help you with your plans. When you feel more confident about your ability to be a good landlord, answer this questionnaire again to see where you've made progress. When you are able to answer "yes" to nine or more questions you will more likely be ready to be a landlord. If you answered "yes" to nine or more questions then you are probably ready to be a landlord. However, even just one "no" answer could be the difference between being a good landlord and a bad landlord, or even the difference between a landlord who does and does not follow the law. Look at your "no" answers and try to turn them into "yes" answers before actually becoming a landlord. Doing this will help you remain confident that you have thought of most of the basics of becoming a landlord, and it will also help protect both yourself and your tenants should any surprises turn up in the course of letting your property.